In early 2018, a group of women who work and volunteer in the emergency sector gathered at an International Women’s Day breakfast. A question was posed: ‘Is there a place for a network of women who work, volunteer or are interested in emergency management?’ The answer was, ‘yes’. 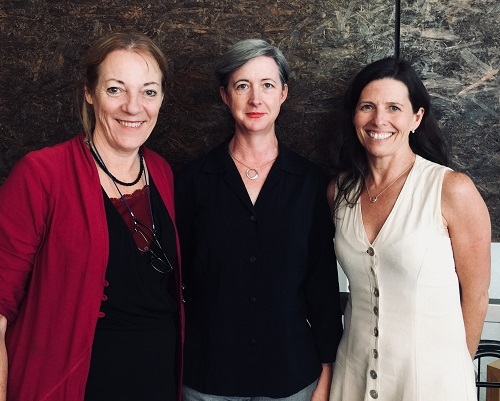 And so the Australian Women in Emergencies (AWE) Network was born and now has almost 1000 members and is growing rapidly. AWE’s mission is to promote and develop the contributions of women in disaster resilience and emergency management, help build stronger communities, and support the new generation of women entering the sector. Membership is open to all women and men who play a role in emergencies, including in emergency service organisations, community and not-for-profit organisations, governments and agencies, universities and schools, private businesses, volunteers and organisations and community members. If you are interested in joining the AWE Network, click here.